It has simple neighborhood (up to 4 successors per node) and diagonal neighborhood (up to 8 successors per node). Step by step execution ("debug mode"). The robot perception range is customizable. Uniform and non-uniform edge cost are available. 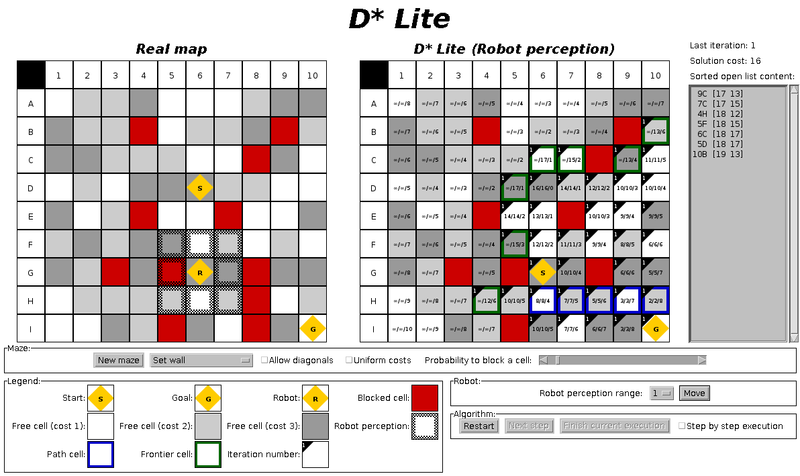 D* Lite Demonstration: following the optimal path that has been found. It will be recalculate when the robot perceives the obstacle changes. 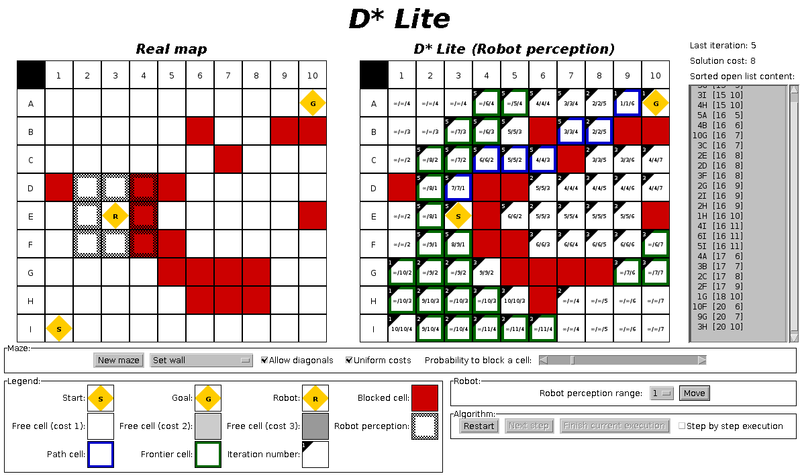 D* Lite Demonstration: after recalculating the path on an uniform grid.